Over 4 million eyeballs on on this site and growing. If you are serious about reaching niche markets in social media you need to get familiar with this site. 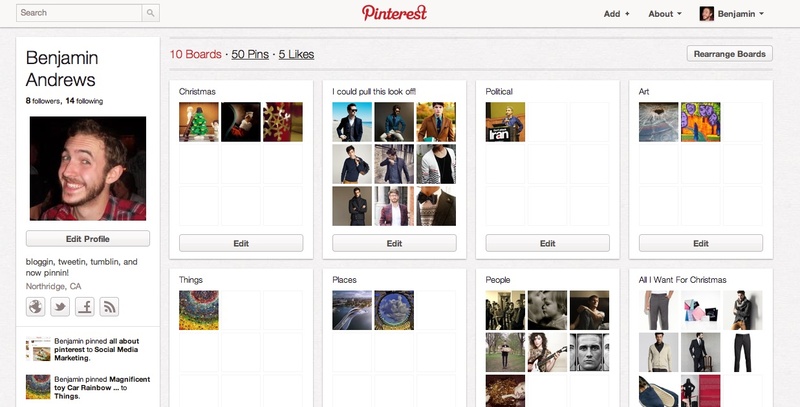 Pinterest: A Beginner’s Guide to the Hot New Social Network. Oh and if you’re not a Social Media Marketer, the site is just super fun anyways. Best for art, photography, fashion and DIY projects. Predominantly female. And of course you can follow me on Pinterest.